It’s almost September and that means that international CP STEPtember challenge is almost underway! This year all of the US funds will go toward cerebral palsy research and CP NOW, our fundraising nonprofit, will be joining in the challenge. We welcome you as members of the CP Daily Living/CP NOW community to join in and help us raise money for research. We have our own registration code being used in partnership with the Cerebral Palsy Research Network (our partner in the Research CP workshop held earlier this year) that waives the STEPtember registration fee. This code, found below, also allows us to track the funds our group raises collectively. What is it? STEPtember is 28-day challenge run in 8 countries around the world, initially created in 2010 by the world-renowned organization, Cerebral Palsy Alliance in Australia and have raised $15M+ in the last 6 years. 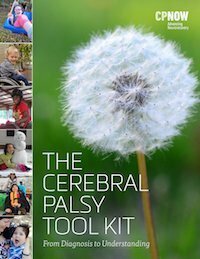 In 2017, Cerebral Palsy Alliance Research Foundation is exclusively running Steptember nationally across the US, with all funds raised going to RESEARCH for CP. We hope you’ll join us and show your support! How To Register Guide – 2017. Create your team and register for free today at steptember.us using our exclusive code! ResearchCP2017. Thanks for your posts! I’d love to follow your blog!